イラスト素材: cat in kawaii style. 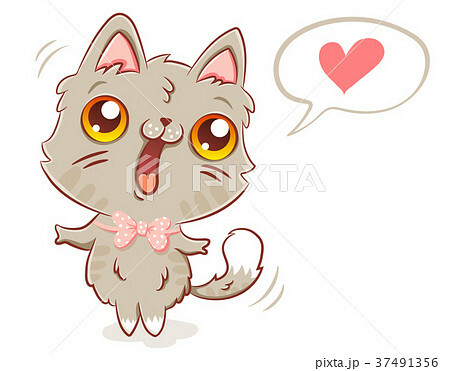 Vector illustration of a cute cat in kawaii style. Cute kitty and bubble with heart.